Freshman year is often the first time many people will have full control over their entire diet. Due to this the possibility of the freshman fifteen often becomes the reality. In order to prevent this students must be accountable for their diets and able to maintain flexibility in what they eat. This is why the dieting style of If It Fits Your Macros (IIFYM) and the meal tracking app, MyFitnessPal, should be considered essential for dietary success. MyFitnessPal is an extremely easy to use application and makes it simple to achieve your desired weight while eating whatever you enjoy. 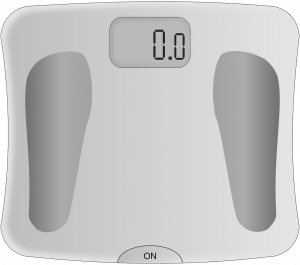 The app will prompt you to enter basic information; your weight, height, amount of daily exercise, and if/how you want your weight to change. It will prompt you for what percentage of your daily calories should each macronutrient account for. This largely depends on individual goals, but a rule to follow is to keep all three macronutrients, protein, fat, and carbohydrates, above twenty percent. Whenever you eat anything either scan the barcode on it, search for the meal and enter it, or manually enter the macronutrients yourself. This makes eating at dining halls, restaurants, or even picking up a snack at a convenient store easy to track. If a student keeps their daily caloric intake and macronutrients around the recommended amount dietary success is easily accomplishable! The app’s purpose and user interface is perfect for college students. Maybe now instead of worrying about gaining that freshman fifteen people can start thinking about losing weight as a freshman.